Today’s world of selling requires understanding and communicating with the self-educated-buyer. Your buyers expect you to know their business, but refuse to speak to your sales team until they’ve almost made their final decision. They research anonymously, expect personalized content and consult with multiple decision makers. This makes the sale increasingly long and complex. 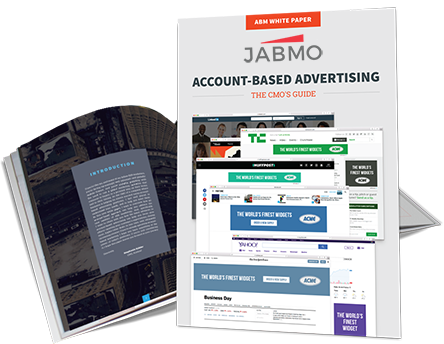 Account-based advertising is a powerful new means to build awareness and engagement with target accounts. By turning buyer anonymity into your advantage, you can now tailor communications to these unknown buyers, winning their hearts and minds during the crucial research phase of the buying cycle. The secrets to a successful Account-Based Advertising strategy. Interested in learning more? Check out our webinar recording on how to make your marketing communications personal and relevant.